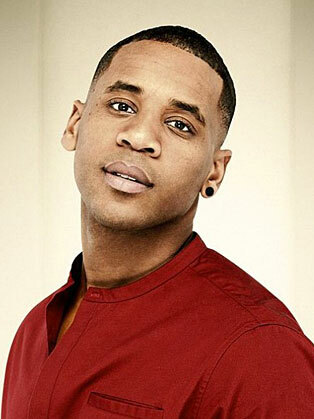 Reggie Yates started his career at the tender age of just eight when he appeared in seminal comedy, Desmonds followed by a role as a footballer on A Bit of Fry & Laurie. After a year on Channel Five Soap, Family Affairs and the obligatory turn in The Bill, Reggie landed the part of Carl in BBC cult kid’s show Grange Hill. Yet acting wasn’t enough to keep Reggie occupied, his presenting skills led to him hosting Diggit where he first worked with Fearne Cotton back in 1998! The BBC quickly spotted his potential and he was recruited to become part of the trio hosting Sunday morning kids show, Smile. Alongside Fearne, Dev and a puppet called Nev, Reggie earned cult status with the feature Bubblin’ and the show’s mischievous energetic feel. Reggie’s love of music soon came to the foreground as he took his place as a core part of the BBC’s new Black music station, 1Xtra aged just 18. Alongside Dev, he hosted a show for 2 years with highlights including broadcasting from the FA Cup Final and interviewing soon to be Hollywood heavyweight, Jamie Foxx. Reggie burst on to primetime telly hosting the BBC’s longest running music franchise, the internationally recognised Top of the Pops. Even after the shows regular run came to a close, Reggie continues to be the host of the much loved Xmas Day edition of the show. And as if one cornerstone of British pop culture wasn’t enough, Reggie played the part of Leo in the 2007 series of Doctor Who where he avoided being shot by Daleks or anything else made out of cardboard! It wasn’t long before Reggie was asked to guest on Radio 1 and as if to prove his credentials as a huge music fan his first specialist show saw some of the very first plays on Radio 1 being Adele and Mr. Hudson. Reunited with Fearne Cotton, the duo took to the air on Weekend Breakfast before heading to the afternoon slot with both the Request Show and the all important Chart Show. After two years together Fearne left the show and Reggie hosted the shows solo announcing the number 1 to the nation every Sunday at 4pm until December 2012 when he left to pursue other projects. In 2010 Reggie visited the slums of Kibera, Kenya for a life changing experience with Comic Relief. The moving two part films ‘Famous Rich and in the Slums’ were broadcast on BBC1 to much acclaim. In 2012 and 2013 Reggie hosted the BBC1 primetime entertainment singing show The Voice UK alongside Holly Willoughby and a Halloween special of Release the Hounds on ITV2. 2013 Reggie travelled to South Africa to shoot a series about extreme communities. Reggie Yates: Extreme Africa was incredibly well received and aired in Spring 2014 on BBC Three with a repeat on BBC One. Reggie is also a talented writer and director. His first short film Patriarch was aired on Channel 4 as part of their Random Acts season and he has just completed his second short Date Night starring Daniel Kaluuya and Tony Way which excitingly has just won ‘Best UK Short Film’ at the London Independent Film Festival!